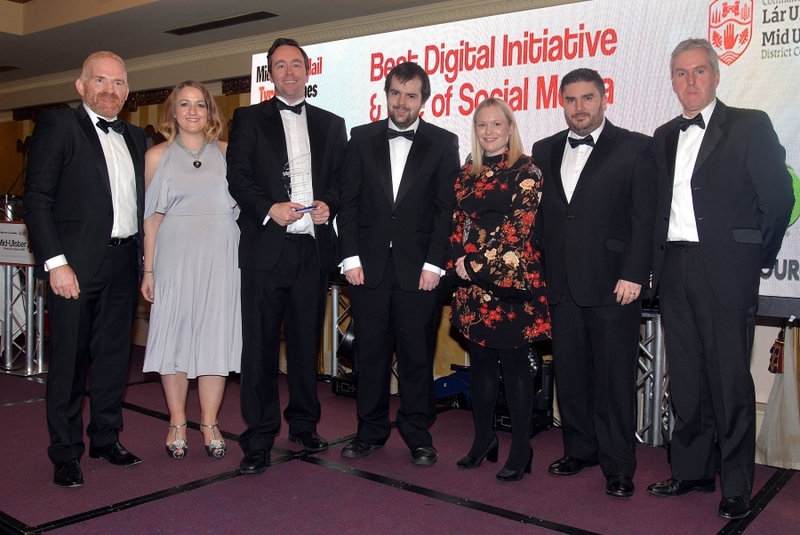 We are delighted to announce that we scooped the award for Best Digital Initiative and Use of Social Media at the Mid Ulster Business Awards. The awards which took place in the Glenavon Hotel on Wednesday November 15th celebrated the talent, entrepreneurship and innovative excellence that exists across a full range of business and commerce in Mid Ulster. "We are delighted to be awarded the best digital initiative and use of social media marketing at the Mid Ulster Business Awards. Digital marketing is at the heart of what we do and our approach to digital marketing is very much strategic, holistic, measurable and omni-channel to capture our target audience for those in the moment searches. We achieve this by engaging with our target audience and existing customers using many marketing techniques which includes but is not restricted to Google advertising, email marketing, content marketing and SEO to drive traffic to Azimap.com. In addition to we are continuously enhancing our website to provide visitors with an intuitive and optimum experience." The entrepreneurial and innovative spirit showcased during the Mid Ulster Business Awards is a testament to all the companies throughout the Mid Ulster who strive for excellence in every area of their business. Join us in congratulating all of the finalists and winners. As Marketing Manager, Nicola is passionate about customer service, communication, digital marketing and market research. She strives to keep our community engaged and informed of all developments within our team and application.